I have another make of laser, from china, the board that was originally on the machine "expired". 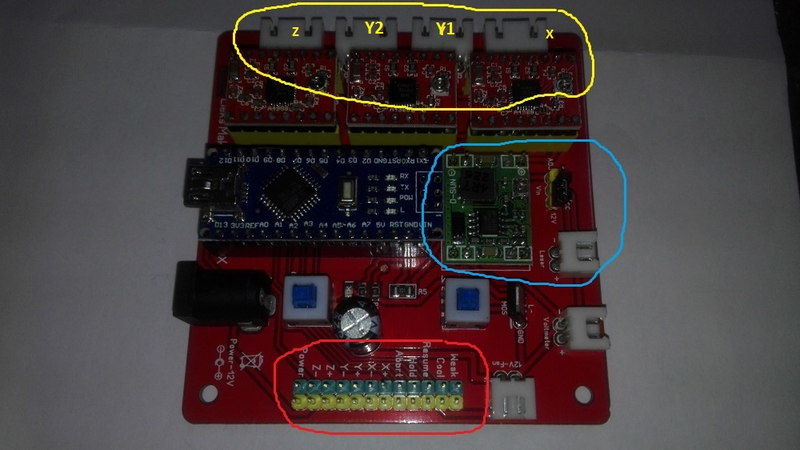 I need some documents or datasheets from this board to show how to connect, the stepper motors and to connect the laser, how to increase current to steppers and how to increase voltage to laser. Does anyone know of this board? (i assume it is an older generation eleksmaker board).